Food24 is an exciting epicurean online destination offering beautifully packaged food and drinks content in the form of accessible and easy-to-understand recipes and articles that aim to entertain and amuse. As Africa’s largest foodie community, Food24 aims to appeal to everyone: the everyday person, the working mother, the hipster, the blogger, the beer lover, the wine drinker as well as the aficionado. 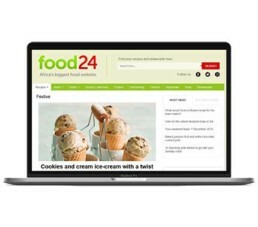 With a searchable database of over 25 000 recipes, Food24 is the ideal place to find cooking inspiration and connect with like-minded people, both on the website and via our thriving and engaging social community.